Finally, Monster Carnival Island has been released and here is the cheats walkthrough guide for you! When you first get to the island, go to your right until you get to the carnival sign. Talk to the kid. He says he’s worried the carnival wont be ready in time. Once you have talked to him, go right and talk to the guy in front of the Duck Game. He will tell you that he needs water and you should find a hose. Now head right to the lady in front of the Fried Dough stand where she will tell you that she needs powdered sugar and gives you the formula for how to make it. Now run back to the left and go inside the Apothecary. Talk to the pharmacist and he will ask you to get him some salt. Once you have done that, go upstairs and pick up the hydrochloric acid and sodium off the shelf. These are the yellowish bottle on the top left shelf and blue bottle on the top right shelf. Click on the furnace looking thing to start the chemical reaction. You need to separate the molecules and make sure they connect with other molecules to form the correct chemicals. If you do this correctly you’ll get a bag of salt. Bring it to the pharmacist downstairs. He will thank you and says you can use his lab again. Go back upstairs and pick up the glucose (purple bottle) and fructose (blue bottle). Do the same thing you did with the salt by separating the molecules and making sure they bond with the matching molecule. You will get sugar from doing this. Once you have the sugar, exit the pharmacy and go into the Auto Repair shop next door to the left and tell her you need a radiator hose. Pick up the hose then exit the shop and run to the right. When you get back to the Duck Game, give the carnie the hose. Now give the bag of sugar to the Fried Dough lady. She will give you some fried dough as a reward. Once you have done this, keep walking to the right until you see the Ferris Wheel. Talk to the guy standing in front of the it. He says the Ferris Wheel needs a new lever to work. Run to the right until you find a new lever sitting on the ground in the woods. Bring the lever back to the Ferris Wheel operator. He’ll thank you for saving the day. Now run back to the left and you’ll see that the carnival has now started! Go to the Pop the Balloon game and you’ll pick up a blunt dart. Now run back to the Auto Repair shop and go inside. Stand in front of the metal sharpener and take out your blunt dart. The machine will sharpen it for you! Go back to the Pop the Balloon game with your sharp dart and pop one of the balloons. The carnie will give you a cup for winning the game. Once you have the cup, run to the right until you get to the Test Your Strength game. The game is broken and you need something bouncy to fix it. Go back to the left until you get to the Duck Game. You need to jump up above the duck game to find the Weight Guessing Game. The guy will guess your weight correctly. Some how, you need something to trick him into guessing your weight incorrectly. Now, run to the left until you get to the Apothecary. After talking to the pharmacist, click to the right of him to pick up the Vial of Osmium which is in a yellow box. Once you have done this, go back to the Weight Guessing Game and the guy will incorrectly guess your weight. You’ll get a bouncy ball as a reward. Now you need to walk to the right until you get to the Test Your Strength game. Take out your bouncy ball to fix the machine. Now try the strength game again. This time your strength will be off the charts! The girl will give you a hammer as a reward. 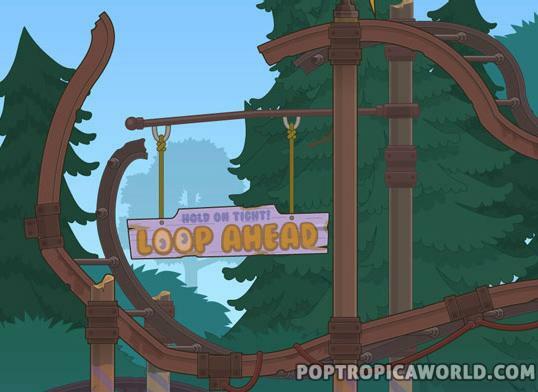 Go back to the left and you’ll see that the Ferris Wheel is broken again. You need to find something to grease the gears. Keep walking to the left until you get to the Fried Dough stand. Take out your cup and the lady will offer you a soda. You’ll tell her that you really want a cup of fry oil and she says ok.
Bring the cup of oil back to the Ferris Wheel operator. Take out the cup of oil and give it to the carnie. He’ll thank you for saving the day. Now walk to the right and talk to the guy in front of the Love Tunnel. He gives you a flashlight and tells you to go get a mask from the Haunted Lab. Go to the right until you get to the Haunted Lab. Go inside and take out your flashlight so you can see. You’ll find some stairs near the right side of the room. Keep going up the stairs until you get to the top floor. You will find the Human Fly Mask up here, put it on. Now exit the Haunted Lab and go back to the Love Tunnel. Talk to the guy outside and then enter the Love Tunnel. Scare the kids in the tunnel then exit the Love Tunnel. When you get outside, you’ll see that all of the carnies are gone. Someone tells you that they all ran into the woods. Go right and head into the woods. You will see objects on the ground. If the object is on the bottom, go through the bottom to get to the next section, if it is on the top, go through the top to get to the next section. 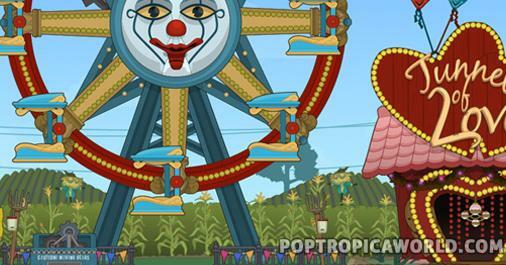 After a few sections, you will see all of the carnies turn into monsters! Now head back to the carnival to find out what is going on. A boy will run up to you and tell you he needs your help because all of his friends gave turned to monsters! Go left to Ring master Raven for help. Make sure to dodge all of the monsters on your way there! When you get there, Raven will tell you that their is a chemical compound that can turn the monsters back to the carnies. First we need to head to the guy that runs the Ferris Wheel! Exit Raven’s and head right to the Ferris Wheel. The boy will tell you that he is too fast and you need to find a way to knock him down. Take out your hammer in front of the broken gears and press the space bar. You will knock him and down and find a secret message. Now you have the chemical formula! Head to the pharmacy. You will see it is closed so now head to the auto shop. Go to your right and past the woman onto the second lift. Raise it up and then click on the vent to remove the cover. Head left into the next section where you will be able to enter the pharmacy. Click on the newspapers to remove them so you can get in. Once you get into the pharmacy, grab the remaining ingredients on the shelf. There will be three of them. Once you have them, go to the formula machine and create your formula just like you did before! Once you have the Sodium Thiopental, go back to Ring Master Raven. They will seize you and take the formula. Edger is hypmotized and you need to make him redeemer you! Take out your fried dough. Edger will now remember you and release you! Now follow Raven to the Mirror Maze. He will hide behind different mirrors on different levels of the maze. All you need to do is look at which mirror he is behind and bang your hammer in front of it. After I think 5 of these, Raven will now be your slave! That’s it! Now run to the right and get your Island Medallion. Now run right to find the Pharmacist in the woods. He will run from you. Follow him and go talk to him! You will find out that he is a monster! He gives you a formula that you need to make to save him. Pickle Juice, Wild Mushroom Extract and Cola Soft Drink are the three things you need to find. Jump up to the right and drop down to the bottom of the roller coaster and you will find the Wild Mushroom Extract to the far right. Now head back to the left back to town. The Pickle Juice will be in the Auto Shop on the top shelf on the left! The Cola Soft Drink will be in the Apothecary to the left. Now go to the formula Machine in the Apothecary. Create the molecular formula like you have done before! Once you have it, run back to the pharmacist, Dr. Dan, and give him the formula! It won’t work! All the town’s people will show up and except him anyway. He will give you your own batch of chemical X to thank you. That’s the end of the side mission! Here’s another screenshot the Creators just released of Monster Carnival Island! The Creators recently explained what happened with the initial release of Monster Carnival Island. 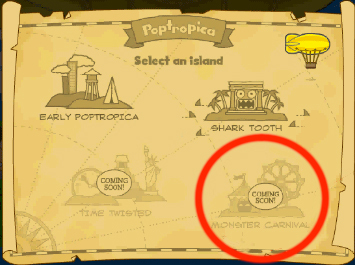 As some of you know, the island was announced in 2008 and was even added to the map with a “Coming Soon” sign on it. Then it just disappeared from the map with no explanation. This led to lots of different theories as to why Monster Carnival Island was never released. 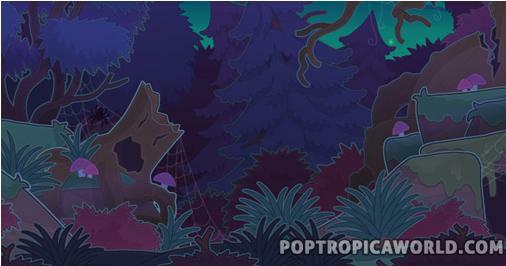 Well yesterday the Poptropica Creators finally cleared things up as to why Monster Carnival Island was never released. Apparently they announced the island too early, before the project was done. They got busy with other islands and didn’t have time to finish Monster Carnival. However, they knew that Monster Carnival was a great idea and it has been at the back of their minds over the years. That’s why they finally decided to finish making it and will be releasing it this month! They have a lot of hype to live up to with Monster Carnival Island, I can’t wait to play it! 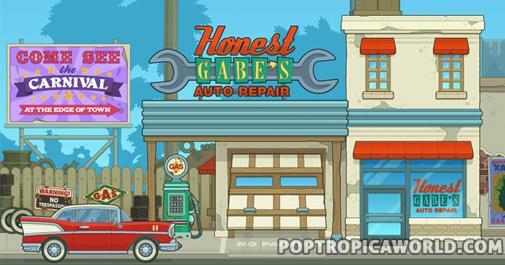 A familiar looking town with an advertisement for the mysterious carnival…located at the edge of town. Another creepy looking screenshot. Possibly in the woods near the Monster Carnival? Even the ice cream shop on Monster Carnival Island looks kinda scary! 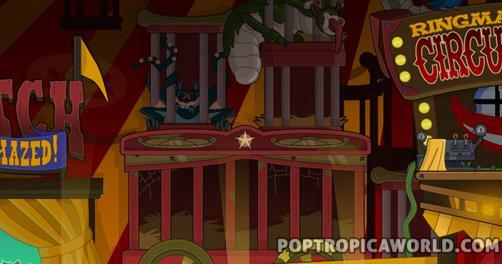 I found a few more Monster Carnival Screenshots on the Daily Pop. 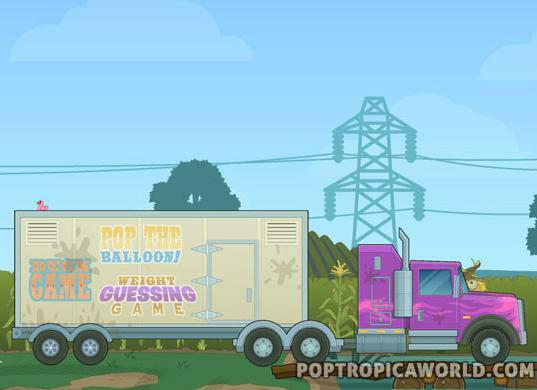 The first one looks like a truck full of carnival games. Hmm I wonder what the exhibit hiding under the cloth is?? Ringmaster Costume – available in 3 different colors! Hypno-Powder – judging by the title I’m guessing that this powder will put others under a spell! There was also an announcement about the upcoming bonus quest for Monster Carnival Island. Once you complete the island, a prominent citizen goes missing and it’s up to you to figure out what’s going on…Is the Monster Carnival to blame? Or is there another reason for his disappearance? 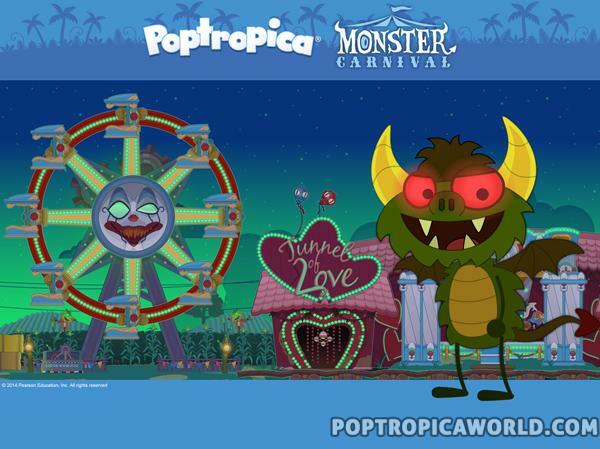 There’s also a downloadable desktop background and a printable poster available to any Monster Carnival Island fans! 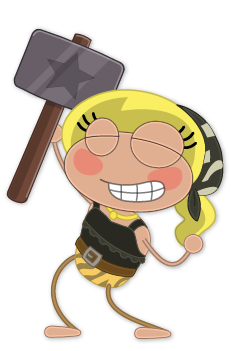 Visit the Poptropica website for full size downloads of these items. They’re both pretty cool looking, I really like the poster! What do you think? I can’t wait for this new island to come out! You never know what kinds of crazy cool characters will be found at Monster Carnival Island! 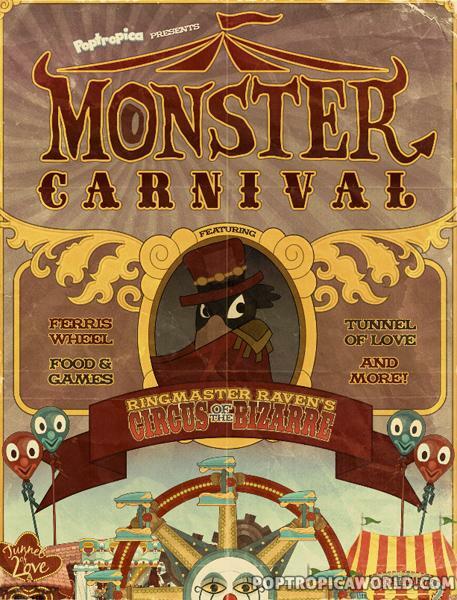 Today it was announced on the Creator’s Blog that the mysterious Monster Carnival Island will be released in February! This is one of the most exciting announcements I’ve seen in a long time! If you haven’t heard of Monster Carnival Island before, check out some of the information I’ve posted below to see what all the hype is about! A full written and video walkthrough guide for Monster Carnival Island will be posted right here as soon as the island is released! Coming soon! There will also be a written and video walkthrough for the Monster Carnival Island Bonus Quest posted here. So after I saw the post on the Creator’s Blog about a forgotten island, I decided to look into things for myself. 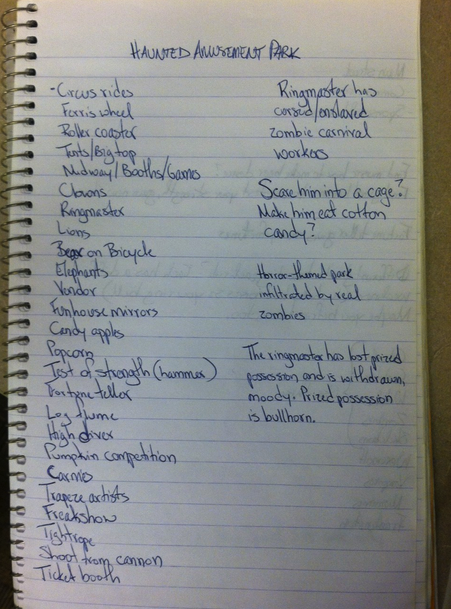 Captain Crawfish posted this picture of a notebook page full of ideas for a haunted amusement park. Scare him into a cage? Make him eat cotton candy? The ringmaster has lost prized possession and is withdrawn, moody. Prized possession is bullhorn. All of these ideas sound like the makings of Monster Carnival Island. The island was shown on the map as “coming soon” in 2008 until it mysteriously disappeared. 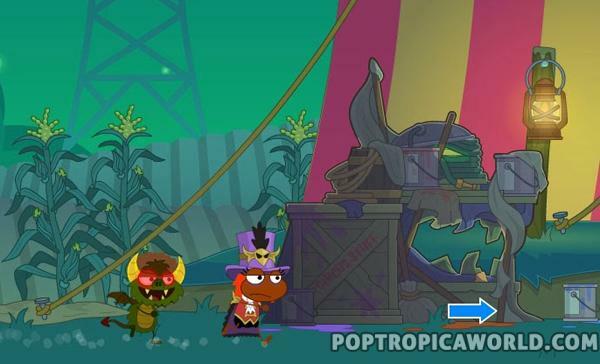 After the map disappeared, some monster costume pieces like wings, horns, and spikes leaked to Poptropica members. 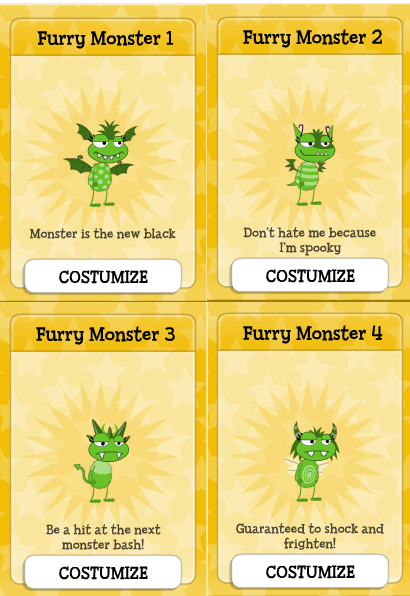 Most players lost these items after a week or two but then the items were re-released in 2010 as “Furry Monster” costumes. 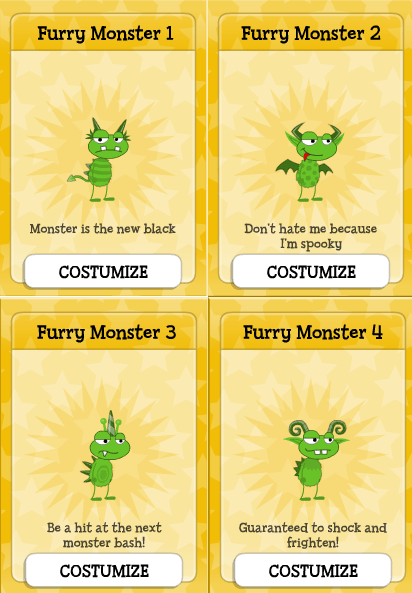 These costumes are still available today, serving as a reminder of the lost Monster Carnival Island. 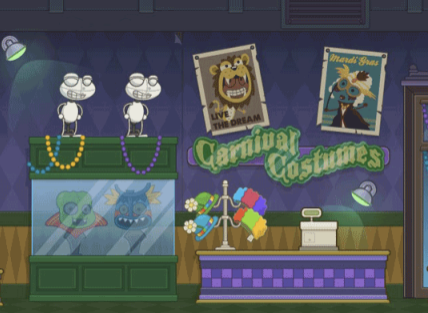 The “Carnival Costumes” shop in Night Watch Island has some hints to Monster Carnival Island too. You can see a photo of a lion on the wall, just like Captain Crawfish had mentioned in his notes. Also, the font of “Carnival Costumes” reminds me of the Goosebumps font which is a book series about a bunch of different monsters. Take a look for yourself! I think that all of these past hints and the recent Creator’s blog post are proof that Monster Carnival Island is still in the works. Why would they get rid of such a cool idea for an island? 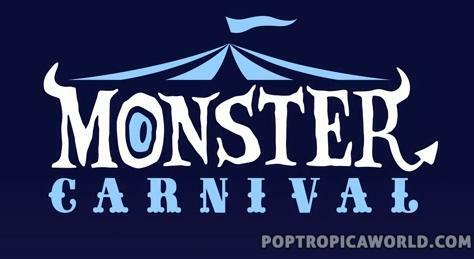 There hasn’t been an island like it yet so Monster Carnival will be the first of its kind. I can’t wait to see what actually happens and if it really comes out! I will keep this post updated as more information comes out about monster carnival island. If it really does come out, you’ll be able to find a full video and written walkthrough guide right here! why really old got monster carnival island now i can’t seen monster carnival island?! I remember waiting for this island then being disappointed when it disappeared….. I can’t wait!!! 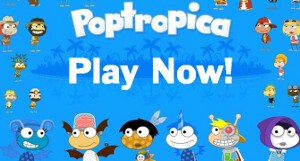 I tryed to go to monstercarnival.com, but it acted as a link to poptropica!!!!!!!! !What should I do??????????????? it is haunted pam pam PAM!!! 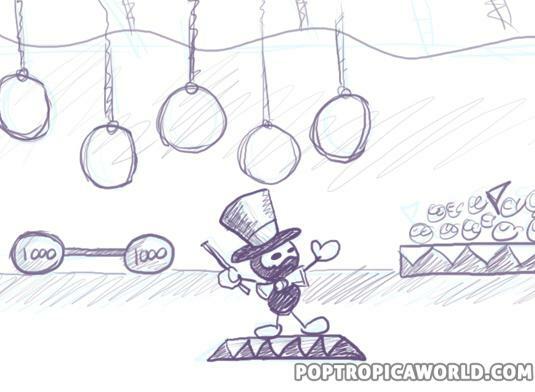 I agree, this would be an awesome island, but doesn’t it seem like it was changed into Zomberry and Wimpy Boardwalk? They already have zombies at Zomberry, and they already have carnival games at Wimpy Boardwalk. Wow. I remember the leak! A lot conspiracy for one gaming website! I have all the creators on my poptropica friend list; here’s what I noticed, all the creators that are still active (like dr hare)have active membership, inactive accounts have expired membership (like director d). 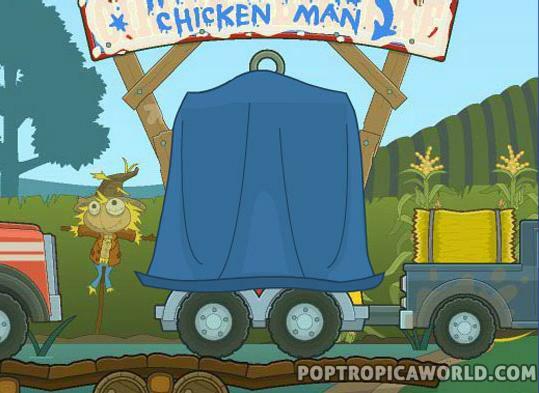 That username monstercarnival2012 is obviously a creator because it’s poptropican name is also monster carnival. 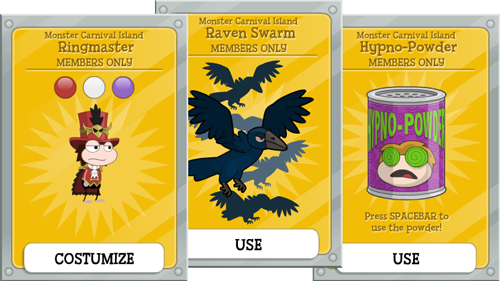 That monstercarnival2012 still has an active membership!!! That account is still active! They wouldn’t still pay for an inactive one! Also the other proof Is when you add them, profile questions like hair color etc. we’re answered and they have some friends in their friend counter! They might still make MC!!! so someone said about monstercarnival2012 so i went where you can add friends, and my little white belt turned black my balck hair turned white my eyes were black and the pupils were white my pink top turned teal …….and then i had red/orange streaks in my hair like highlights…. I know what really happened to the ISLAND. He didn’t finish it… I know that much. But I know the real reason it did not come out. what happened. i really have to know. i waited forever for that island and then it disappeared (sorry for my spelling my sister is bothering me)i was totally upset for 3 days. Why I can not find Monster Canival Island Is it near SharkTooth NO MONSTER CANIVAL!!!!!!!!!!! my sis was plying on 2008, now shes 14. well, anyways she told me that real things were acidentally created in the REAL WORLD from that island like MONSTERS AND GHOSTS tis might be a real horror movie imma go hide and wrap myself in bubble wrap im scared THIS MIGHT BE REAL PPL friend me my name is godsgal8. BYE GOONA WRAPMYSELF IN BEUBBLE WRAP AND HIDE IN MY BASEMENT. the island wasn’t released because it is HAUNTED!!!! !1111 O.O MY SIS WAS PLAYING WHEN IT HAPPENED F.Y.I I’M TALKING IN ALL CAPS BECAUSE U HAVE TO LISTEN SHE SAID THEY DIDN’T RELEASE IT BECAUSE IT WAS HAUNTED AND IT WOULD CURSE WHOEVER PLAYED IT. oh, spoiler alert??!?! 🙂 dont play the island srsly u could get hurt. is this the island that won the contest create your dream island? Iwon the island but if you make me a member i will tell you how. Just finished this wonderful island! I have to admit, I got some chills here and there while playing it. My favorite area of the island was the Ice Cream Parlor, because it is so retro and 50s like. The whole island had a great concept and I love the idea so much! Keep on making these fabulous walkthroughs! Go to the Pharmacy (RX) in town, I f you already are then you should see different colored bottles on the second floor. When you have found all the ingredients, there’s a machine on the 2nd floor also.